Artificial intelligence (AI) is technology that allows machines, software and systems to emulate some types of human intelligence and behavior. AI is driven by systems that use “intelligent agents” and complex algorithms to understand information, perform tasks and adapt to changing inputs and environments. Typically, AI uses human reasoning as a model for decision making, with a goal of providing better insights, products, services or efficiencies. There are several subfields of AI including machine learning, natural language processing, planning, problem solving and robotics. Artificial intelligence has several applications in the supply chain, including extracting information, data analysis, supply and demand planning, autonomous vehicles and warehouse management. AI plays several important roles in optimizing the modern supply chain. AI use cases are growing all the time and promise to deliver real value for supply chain management (SCM). Natural language processing (NLP) is a technology that parses human language and extracts insight via AI. NLP can scan through supply chain contracts, purchase orders, chat logs with customers or suppliers and other documents to identify common themes or issues. This feedback can be used to optimize SCM as part of continual improvement. Machine learning is another aspect of AI that can analyze complex data to establish current patterns and future trends, then make decisions based on outcomes. Machine learning helps to manage the flow of goods throughout the supply chain, ensuring that raw materials and products are in the right place at the right time. AI can source and process data from many different areas and forecast future demand based on external factors. This feeds into supply and demand planning and product development. Warehouses are busy, ever-changing environments. AI can analyze warehouse processes and optimize the sending, receiving, storing, picking and management of individual products. It can also analyze fleet performance and ensure the right distribution channels to get goods to retailers and other customers in good time. Together with optimizing warehouse operations, AI can also power autonomous vehicles within distribution centers. Larger facilities often use robotic vehicles and tools to store and pick items, and they use the most efficient routes thanks to AI. In the longer-term, trucks may even become fully autonomous, reducing reliance on human drivers. 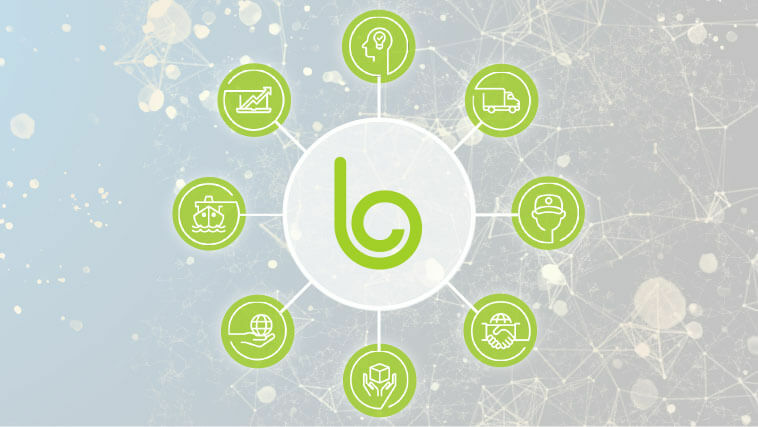 How Blume Global is transforming supply chain management. Data analysis and insight creates actionable business intelligence that drives continual improvement. Speed is enhanced throughout the supply chain due to much more efficient supply and demand planning, driven by marketplace factors, consumer needs and other environmental changes. Logistics is improved due to optimized warehouse operations and distribution. Costs are reduced due to savings in reduced inventory and storage costs, goods being processed more quickly and faster distribution. Solutions with intelligent capabilities—powered by artificial intelligence (AI) and machine learning—are becoming even more critical in the movement of goods across assets and the supply chain. Blume Global uses AI and machine learning to optimize the supply chain. Up-to-date, accurate data is vital to getting good information and actions out of any AI system. AI systems should be integrated with systems and databases with a rigorous process for accessing, cleansing, analyzing and acting on data. AI relies on algorithms and models to drive insight and actions through the supply chain. SCM should run periodic checks against these models and actions to make sure everything is working within expected parameters. AI should never work in isolation, especially for areas like supplier management. Although AI is a great way to enhance efficiency, understand data and drive actions, it is not a substitute for good relationship management by the SCM team. Large e-commerce and other retailers can use AI to optimize warehouse picking routes for human or automated pickers and packers. AI can gather information from customers and suppliers through chatbot interfaces to identify delays, damaged products or other issues caused by the supply chain. Demographic, social, economic and other analysis can identify consumer trends that will change demand for specific products. Retailers can optimize the distribution of products, resulting in happier consumers. Manufacturers can analyze production processes and use AI to make small changes to optimize further. The eventual replacement of drivers with automated trucks will lower costs in the logistics industry and enable more rapid distribution of products.